Lake Baikal in southeast Siberia has a list of superlatives and statistics that prove how vast and unique it is. Most importantly for travellers on the Trans-Mongolian Railway, it is a perfect stopover that allows you to escape the cramped conditions on the train and stretch, breathe the pure air and enjoy the stunning scenery of the lake. Stopping at nearby Irkutsk, transfer to a lakeside village - Listvyanka is popular and one of the best. The traditional wooden cottages in town offer simple but very comfortable accommodation. Depending on the time of year, you can enjoy a freezing and very quick dip in the lake (and that's in summer!) or walk on its frozen surface in winter. Hike up to a viewpoint for stunning vistas of the lake, enjoy a banya or Russian sauna to remove the grime from the train and take a boat ride on the lake. A couple of days here and you'll be more than ready for the onward journey. 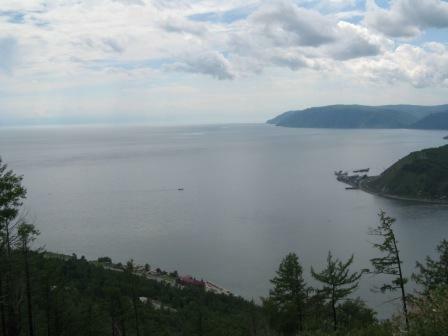 As for the statistics - Baikal is the oldest (25 million years) and deepest (1,700 metres) lake in the world, it contains 20% of the world's unfrozen freshwater and is home to over 2,000 species (75% endemic) including the Baikal freshwater seal and the two metre Baikal sturgeon, earning the lake the title 'The Galapagos of Russia'. Organised group tours: Click here to see 11 tours to Russia which may include Lake Baikal.